Work has begun to demolish the restaurants and bars in Bruparck at Heysel, and Brussels-City has announced that a new green space will be developed on the site – though it might be temporary. The new green space will be freely accessible and link Kinepolis, Mini-Europe and Océade. The city plans to allow food trucks on the site, which could alter according to the season or activities taking place on the site. The eateries at Bruparck have been empty since early this year, and the demolition and removal work is scheduled to finish by the end of next January. All three Bruparck attractions will remain open for the duration. Once the demolition is complete, a public green space will be developed. Whether the green space will last is unclear: The Neo shopping and leisure centre is due to take over the space, with works beginning in 2020. 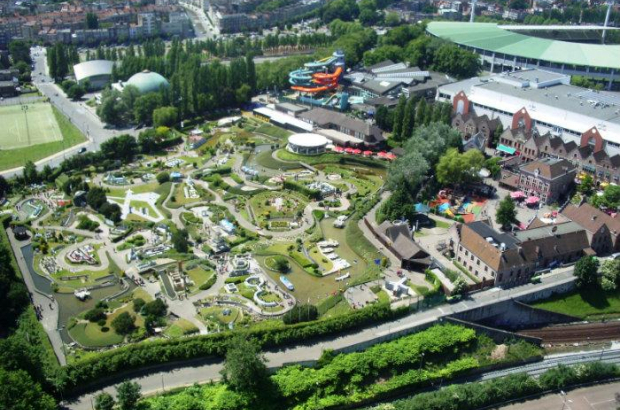 That will include a renovation of Mini-Europe, a whole new Kinepolis cinema, a new shopping centre, Spirouland (named for the popular Belgian comic strip character) and a science village for kids.